This AFL Football Team Cake is a great cake for football fans with simple tastes. A classic cake, simply decorated with an edible image of your footy clubs emblem, matching ribbons and iced in team colours. 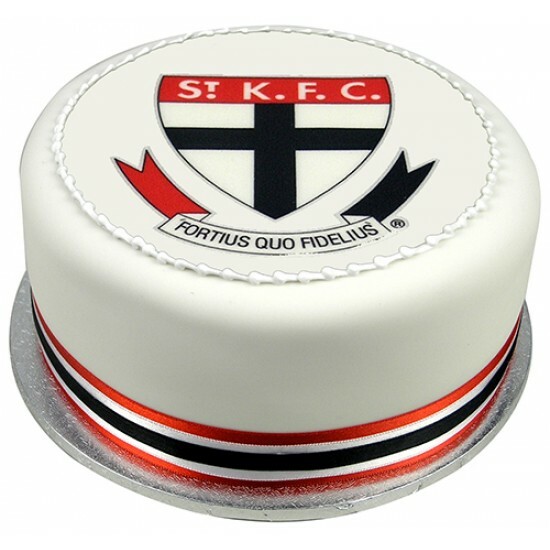 This AFL Football Team Cake is a great cake for football fans with simple tastes. A classic cake, simply decorated with an edible image of your footy clubs emblem, matching ribbons and iced in team colours. 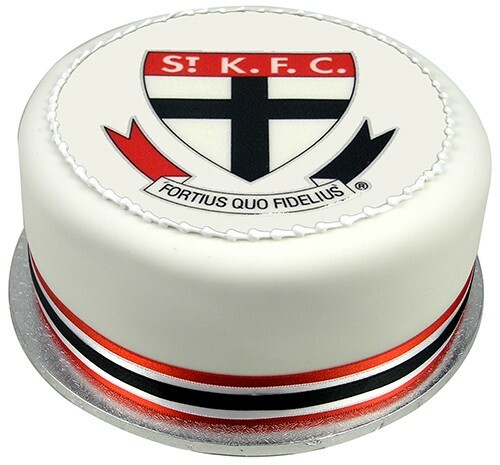 This cake is perfect for the footy fan in your family! 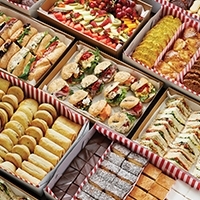 Ferguson Plarre are officially licensed by the AFL to provide you with these hand-decorated cakes.